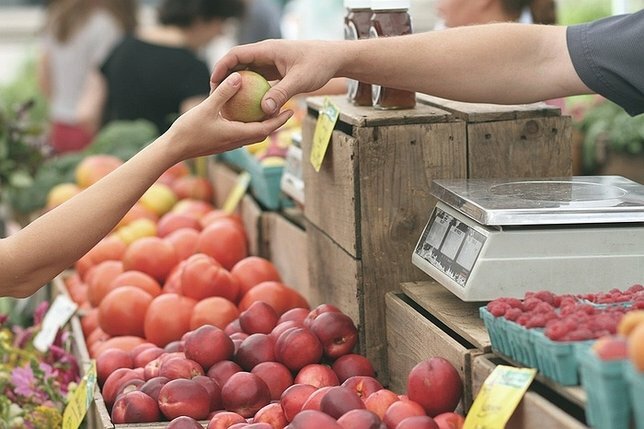 Eat nutritious and delicious foods right from the source this summer by shopping at local L.I. farmers' markets! Photo by: Pexels via Pixabay in CC0 Public Domain. When it comes to purchasing fresh fruits and vegetables, nothing compares to getting your produce right from the source. This summer there are many farmers’ markets taking place across Long Island featuring fares like organic greens, freshly baked bread, and locally caught seafood. Food isn’t the only thing offered at these farmers’ markets! Homemade soaps, beautiful flowers, coffee beans and more are also available for purchase from these local entrepreneurs selling their goods. Support small businesses and shop local this summer by heading over to a farmers’ market near you! Take a look at what local growers and food artisans have to offer at this weekly farmers market on the East End! Support local growers, craftsmen and artisan at this market offering pies, greens, fish, flowers and more! Browse and buy sustainably-grown, nutritionally dense vegetables and fruits from local farm HeartBeet Farms! Everything from original artwork, to local farm-grown foods, will be ready for purchase at this weekly market. Don't miss out on this rotating market that features locally grown produce, cheeses, fish, oils and more! Head Down Port to browse a diverse offering of fruits, vegetables and more for sale! Head to Lindenhurst Village Park to shop handmade art, freshly grown produce, baked goods and much more! You'll have two opportunities during the week to get your fill of organic vegetables, fresh fruits, handmade soaps, baked goods and more at this market! Browse local vendors selling fruits, vegetables, wines and more around the fountain in the Piazza! From micro greens, to homemade soaps, to baked goods, you'll have plenty to pick from at this weekly market. Browse a plethora of goods, like sauces, candy, fruits, coffee beans, vegetables and more, up for sale at the 2017 Islip Markers Market! There's a little bit of everything, like teas, soups, vegetables, dog treats and more, available for purchase at this weekly market - even vegan items! Whether you're looking for spices, plants, pastas, vegetables, baked goods or fruits, this market has the variety for you! Pick-up a bottle of wine, local seafood, freshly baked breads, and much more at this Sunday farmers market! From certified vegetables, to gluten free cookies, this market boasts an impressive array of goods for sale. Make your way over to this market for breads, vegetables, pastas, fruits, wines, herbs and more! From fresh roasted coffee to fresh fruit, there's a little bit of everything available for purchase at this market! Subject: LongIsland.com - Your Name sent you Article details of "Shop Small & Eat Local by Patronizing Long Island Farmers’ Markets This Summer"